Browse some of my favorite links below! Send me suggestions of links to add by using the comments box on the homepage. My Old Radio:Listen to broadcasts from the past to learn about events such as World War II. Have Fun With History: Watch 1 min. animated clips on many topics of history. The National History Bee is an exciting new history competition for school children across America. Participating students progress from the school level to the regional level and finally to the National Championship until one student is crowned the National History Bee Champion! What makes the National History Bee unique? Unlike other activities, participants in the National History Bee compete head-to-head to be the first to “buzz-in” with the correct answer. What results is a competition that tests a student’s knowledge in a fun and exciting way! Visit Wonderopolis®. It’s a place where wonder and learning are nurtured through the power of discovery, creativity and imagination. Wonderopolis is brought to life by the National Center for Family Literacy (NCFL) and supported by our philanthropic partners listed below. Power My Learning: A great website that will keep you learning new things all through the year! Symbaloo: A way to keep all your favorite websites organized. Powerful Voices for Kids Onlinefree online resource that helps teacher educators introduce digital and media literacy to teachers in the elementary grades. Watch videos of classroom practice, see samples of student work, get lesson plans, and discuss strategies that help children build literacy, language, critical thinking, creative and collaborative skills by exploring mass media, popular culture and digital media tools and technologies. Print wall-sized maps! 1. Go to www.nationalgeographic.org . Open “Education”. On the education page open “Mapping” and select “Mapmaker Kits”. Browse through the selections and decide on either a MEGA MAP or a TABLETOP MAP of the country, continent or area that fits your needs. 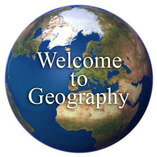 MEGA MAPS are a very large finished size and are suited for large group projects (classrooms or schools). TABLETOP MAPS when completed fit on top of a table and are perfect for individuals or small groups. Free Online Course "Maps and the GeoSpatial Revolution"
Sid the Science Kid -- This is an excellent interactive site for younger students. Create your own e-books: Pandamian builds web-based publishing software for book writers. We take care of the technological bits of publishing a book to the web, so writers can focus on what they do best. SmartHistory: Smarthistory at Khan Academy is the leading open educational resource for art history. We make high-quality introductory art history content freely available to anyone, anywhere. Smarthistory is a platform for the discipline where art historians contribute in their areas of expertise and learners come from across the globe. We offer nearly 500 videos and these are being translated into dozens of languages. Create our own animation using SketchStar! LearnFree.org: Take free online classes on different computer programs such as Word and Excel. University of Reddit: This site offers courses in many subject areas. It also has the option of learning how to teach a course for Reddit. Sign-up with Saylor.org for free and open courses in many different subject areas! The Khan Academy is an amazing source for guided lessons in math, science, and history. **This site has changed and may require payment. Coursera: Coursera is an education company that partners with the top universities and organizations in the world to offer courses online for anyone to take, for free. Our technology enables our partners to teach millions of students rather than hundreds. Academic Earth: Academic Earth believes everyone deserves access to a world-class education, which is why we continue to offer a comprehensive collection of free online courses from the world's top universities. And now, we take learning outside the classroom with our original series of thought-provoking videos, designed to spark your intellectual curiosity and start a conversation. Watch, learn, share, debate. After all, only through questioning the world around us, can we come to better understand it. Critical Thinking and Primary Sources in the Classroom livechat from the "Not Antother History Teacher Blog"
The Most Amazing LiveBinder for Social Studies EVER! C-SPAN Classroom: Free primary source materials for social studies teachers. GREAT STUFF! Crash Course series by John Green YouTube Channel-These videos are interesting, fast-paced and cover most major content areas. Mr. Betts'Class--YouTube Channel Includes a great overview of world history called "Global Final Review"
EduVision: Flipped Learning Network--both a tool for finding classroom videos AND learning more about the topic. Website with Great short videos on all topics: "WatchKnowLearn.org"
It's important for both students and teachers to reflect at different points and for different reasons. Check out the links for some great tools and ideas about reflection. Chapter 5 from Mentoring Beginning Teachers, "How Do I Encourage Reflection?" Wikimedia: global movement whose movement is to bring free educational content to the world.